Treat trained dogs view their owner's wishes as "optional," and therefore will never be reliable. Electric collar trained dogs will only obey when wearing the collar, and again, will never be reliable. I have never seen a dog give another dog a treat to do something. I have also never seen a dog push a button on a remote collar that another dog was wearing. Both of these approaches have there place in training: treats to teach tricks, and the collar for advanced distance work. Neither have a place in basic obedience training. JCM's offers professional obedience training founded on a practical and realistic approach. Often referred to as Natural Dogmanship, our program format is based on dog psychology, (how dogs actually think and learn), not human psychology, (preconceived notion of how people think dogs should think and learn). Our training program is specifically designed to teach owners how to successfully work with their dogs off leash. The Importance Of Training Dogs Using Their "Instinctual Behavior"
"Instinctual Behavior" or "reflex behavior" is the pattern of behaviors dogs, (and all animals), are born with. This means the behavior is not learned, but automatic. For example, a puppy or submissive dog will roll on his back when a dominant adult dog approaches. This automatic behavior signals that the young or submissive dog wants to avoid a confrontation. Another example is when a dominate dog just has to glance at, or move toward a submissive dog to make him move away. The dog moves away without thinking, again, preventing a confrontation. This is how dogs command personal space or show possession over food, toys, or even the owner. This behavior is known as "claiming." By tapping into this, and other natural behaviors, the dog does not have to learn or be taught what to do. Dogs already know what these signals mean, and how to respond appropriately. All the owner has to do is display the correct signals. When dealing with behavioral issues, JCM's works with the dog's natural instinct. That is why our method of behavioral training is so effective. When the focus is on the treat, the focus is not on the owner. When the treat is gone, the focus is gone. Treat training also tells the dog that you are a follower. This empowers the dog and elevates him to dominance status. If you are going to communicate on a canine's level, you mimic what a dominate dog would do. Even though some people get some results with training obedience commands, it is the behavioral aspect of the training that suffers. This is due to the instructions owners are given to deal with behavioral issues. Owners are instructed to repeatedly present submissive body language, posture, and behavior to their dogs. For instance, if the dog jumps, owners are told to turn their back to the dog. This is submissive behavior, which empowers the dog. If the dog growls around food or toys, the owner is instructed to leave the dog alone, and walk away. Again, submissive behavior. Therefore, this method is counterproductive and flawed. Eventually, the vast majority of these dogs wind up in the shelter because they become pushy, arrogant, disobedient, and often times aggressive. Successful training begins with having an accurate understanding of "Pack Dynamics," and the way dogs perceive their environment. Dogs do not have the ability to reason and are not capable of abstract thought. Dogs live "in the moment," and learn through "cause and effect." Corrections for unwanted behavior have to be applied at the exact moment of incident, not before and not after. In addition, 95% of the dog's communication skills are conveyed through body language. Understanding this body language, and knowing when and when not to apply it, is also critical to successful training. This video shows how dogs interact with other dogs to set rules, boundaries, and respect. The closer owners work within these guidelines, the better the communication. Therefore, the better the results. Training must consist of contrast and balance. It cannot be all positive, or all negative. Ignoring unwanted behavior only rewards and promotes that same unwanted behavior. By the same token, dogs can’t learn under fearful conditions either. Correcting the dog (verbally and/or physically) after the fact or inappropriately only leads to confusion and intimidation. Dogs are pack animals with a simple social structure. There is a pack leader, and the rest of the pack are followers. 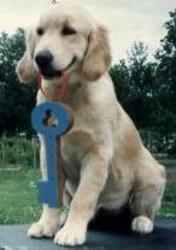 JCM's All Breed Dog Obedience School is designed to teach the owner how to take control and be in charge. Our program is so effective you will see dramatic results within the first hour. Our first class addresses behavior problems with a hands on approach. Jumping, digging, chewing, barking, taking things (such as clothes or towels), housebreaking, play biting, aggressive behavior, and so forth. There will also be an in-depth discussion and insight into dog psychology. Additionally, owners will learn the proper way to walk their dogs without being pulled. Included in the introductory class, and throughout the course, there will be demonstrations with a trained dog that was taught using the same method in which your dog will be trained. You can expect similar results with your dog using these same techniques. However, you must work your dog and follow the instructions you receive in class. The JCM's obedience course is a structured and progressive program. This eight (8) week course is taught to AKC (American Kennel Club) standards. It covers the complete range of basic commands, including hand signals and off-leash. Each week the previous lesson is reviewed and new material is added. Training taught in this way gives both owner and dog the advantage of learning step-by-step. JCM's training program is based on the understanding that "Alpha Dogs" DO NOT reward pack members with food as a reinforcement for desired behavior. Food reward is not a practical form of training, so no treats are used in our program. Using food not only obligates the owner into carrying a food pouch everywhere, but it also makes the dog unreliable and untrustworthy. The dog and owner should form a partnership based on communication, not manipulation. Pack society dictates that the top dog eats first. The lowest ranked dog will often present food to the top dog in an attempt to appease him. The top dog takes the food and ignores the provider, thus the provider avoids being attacked. Treat based training teaches the dog to focus on the treat and ignore the owner. By understanding canine social structure, it becomes clear that this simple act empowers the dog to Alpha or dominate status. However, when the owner does assert himself by making the dog move off the sofa, or leave a room, for instance, the dog sees this as dominate / possessive behavior. The flip from submissive (treat) to dominance (make the dog move) creates extreme anxiety in the dog. Dogs of Alpha status show dominance, defiance, and aggressive behavior when interacting with lower pack members. They can be very loving, but it is always on their terms. They will play bite excessively, snap and lunge when corrected, drag you when being walked, not come when called, and fight if you try to hold them. They will also show aggression and possessiveness toward their food bowl, toys, and anything else to which they lay claim. Dominate dogs just don't listen to lesser ranked pack members, be it person or dog. This course provides the owner with the necessary skills to take charge and turn these behaviors around. Hands on praise, with approval coming directly from the owner, gives the dog a better understanding of what he is being rewarded for. The dog's sense of accomplishment can be seen through his body language. Dogs rewarded with treats will perform the task then go directly for the treat, leaving the human completely out of the equation. In fact, if the owner does pet the dog in conjunction with the treat, the dog will ignore and even avoid the physical contact. Don't try to over think dog training. Properly applied corrections, balanced with properly timed praise, reinforces leadership. Rank has to be earned. An assertive pack member can easily become pack leader. Using the right techniques, even the most dominate dog will relinquish his position. Unlike people, dogs don't get angry, nor do they retaliate. Once dominated, the dog will take his place as respectful pack member. Results will be seen immediately. The goal of this result-based course is to have your dog 100% reliable & trustworthy in all situations. Our program is based on a combination of the "Traditional" and "Positive" methods commonly referred to as "Correction and Praise." This course is NOT intended for owners who feel their "out of control dog" needs to "express himself."